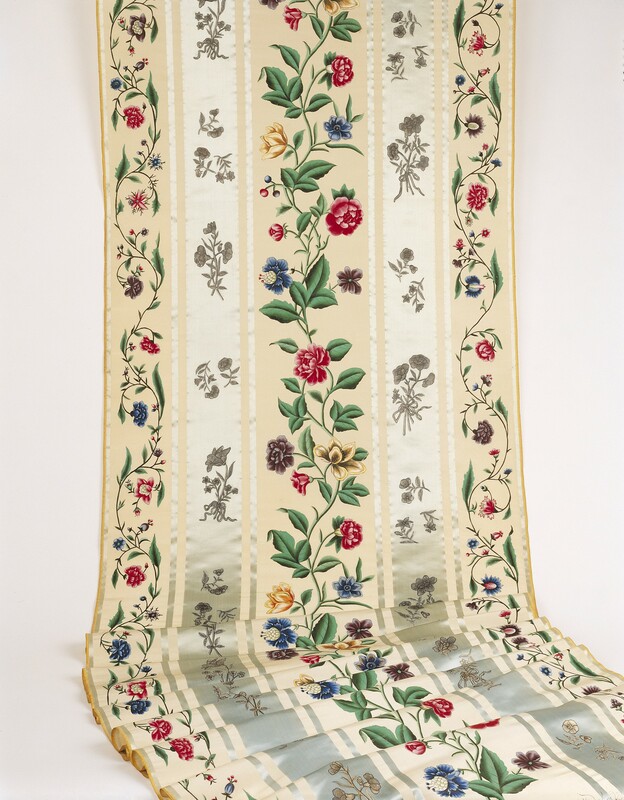 A bolt of cream silk woven with wide, pale blue silk satin stripes and painted with a continuous meandering band of various flowers and leaves. The pale blue stripes painted in silver with individual flower sprays and black details. The roll with yellow selvedges; one end cut. Chinese, circa 1800, made for the western market. Bolts of painted silk were exported to the west where they were made up into dresses for wealthy ladies.